- There are two things we can be sure of: His unfailing love and His mighty power. 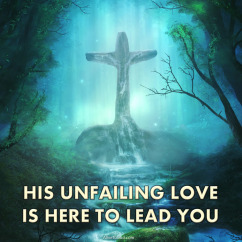 - His unfailing love is here to lead you. - His mighty power is here to guide you day by day. - His faithfulness is your armour and protection. Prayer: Lord, thank You for Your unfailing love towards me. I pray that You will lead me and guide my every step so that my life can be lived in dependence on You. Amen. 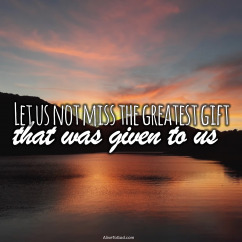 - We must never forget the great things that God has always done for His people. - He has not changed and He still wants to do great things for you today. - Trust Him for the miracle and breakthrough that you need. 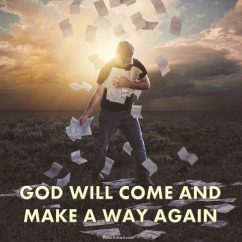 - Just as He has made a way before, He will come and make a way again. - We are sure living in strange times in the world. 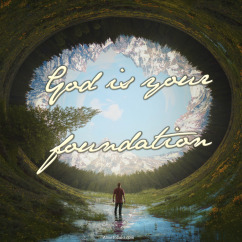 - But no matter what you are facing, He is your foundation. - The Lord is your foundation and on Him you can rely and build with confidence. - Rest on your foundation and you will not be shaken, but you will stand secure. Prayer: Lord, thank You that I can know You as the ‘sure foundation’ of my life and the times and seasons of my life. I place my feet on this foundation and I will trust and not be afraid. Amen. - You have a refuge and a source of strength that comes from the Lord. - Life can and will bring its challenges and troubles. 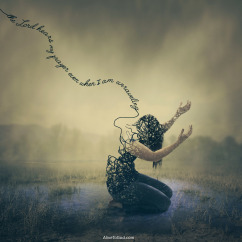 - The Lord hears your prayer even when things seem to be unraveling. 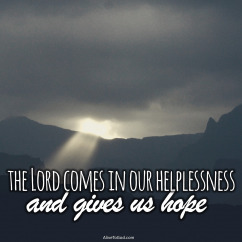 - His divine help is constantly with us and always available to us. - The Lord cares for you dearly and wants to do great things for you. - You may think that there are too many people for Him to think of you! - We should remember that He is God and He cares for you personally. 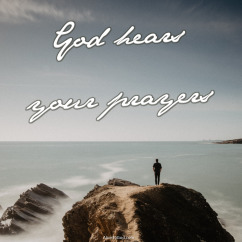 - He calls you by name, hears your prayers and is with you to do great things. Prayer: Lord, You truly are the Mighty God, the Everlasting Father and the Prince of Peace. Work in my life, I pray, and do great things for me. Amen. - Many people can say many wonderful things about the Lord. - The question is can they speak of Him and their personal Lord and Saviour? - Can you say, ‘He is MY Saviour’? - All our knowledge of God has no value unless we know Him personally. Prayer: Lord, I desire to know You in a deeper way. I don’t want to know you as ‘head knowledge’ only. I want to know You in my heart. Come and live within me and be MY Saviour. Amen. - What is it that holds your attention and is always front and center of your thoughts? 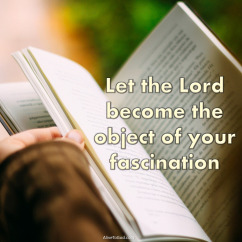 - Let the Lord become the object of your fascination and hope. - He will not in any way fail you or leave you shaking. - He is closer than you think, He is right beside you, holding and guiding you. - How we live our lives is important. - What an awesome thing to be said that you are righteous, blameless and obedient. - What a joy that we can live our lives in a way that honours God. - This is the ultimate test we all need to pass, and will we pass it? Prayer: Lord, I choose to follow You and to live a life that brings glory and honour to you. 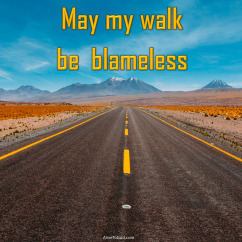 May my walk be a walk that is blameless, obedient and faithful to You, today and each day that lies ahead! Amen. - Trusting the Lord and His promises should be the enduring aspect of our lives. - Claim the promises that God has given you. 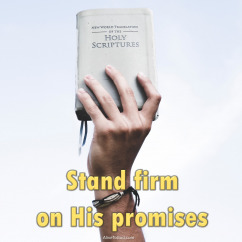 - Stand firm on His promises and know that He is able to do what He has promised. Prayer: Lord, now Lord, let Your promises regarding me and my family be fulfilled. May the work that You have done in our lives bring You glory. Do as You have promised! Amen.